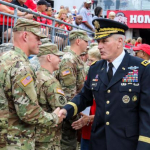 Gen. John Murray, head of Army Futures Command, said during an interview that the command will institute its own innovation laboratory, similar to the Defense Department's Defense Innovation Unit, to keep pace with advancements in technology, FCW reported Friday. Murray explained that the Army Applications Lab will be established to help initiate "a constant presence" of advancement, harnessing local tech community offerings and developing artificial intelligence capabilities. An individual has already been picked to fill the position of laboratory chief, Murray told reporters after a House Armed Services Committee meeting on Thursday. Army Undersecretary Ryan McCarthy said the command is also on the lookout for a chief technology officer to serve in the new unit. "Of course, Dr. [Bruce] Jette is the chief scientist of the entire department of the Army, but we wanted to have an organic capability at Gen. Murray's disposal to help him look at the maturities of technologies," McCarthy added. Layne Merritt, head of U.S. Army’s Aviation Development Directorate, said the service plans to conduct a series of demonstrations for a new fleet of air-launched unmanned aircraft in the coming years, Defense News reported Tuesday. 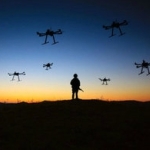 The service looks to develop a capability to deploy drones from a larger aircraft and perform advanced manned-unmanned teaming for reconnaissance, surveillance, long-range targeting, attack, decoy, resupply and casualty evacuation missions.